Raised in rural North Idaho, he was homeschooled K-12. He began college at 16, playing singles and doubles for the men’s tennis team. In 2013 and 2014, Ben was named as one of the world’s top 100 most influential people in health and fitness, and by 2015, Ben was coaching the world’s top CEO’s, chefs, biohackers, poker players, tennis, motocross and endurance competitors, and professional athletes from the UFC, the NHL, the NBA, the NFL and beyond – all while advising and investing in top companies in the health, fitness and nutrition industry. In 2016, he joined Spartan SGX as one of its certified coaches. As founder and CEO of Kion, Ben now creates step-by-step solutions – from supplements and fitness gear, to coaching and consulting, to education and media – for the world’s hard-charging, high-achievers to live a truly limitless life with fully optimized minds, bodies and spirits – all from his quiet home on 10 acres in the forested wilderness of Washington state. Whether you want to become the complete mental athlete with a flawless brain and nervous system, attain an ideal human body that fires on all cylinders from performance to beauty to hormones and beyond, or achieve true and lasting health, happiness, and longevity, Ben combines intense time-in-the-trenches with ancestral wisdom and modern science to make your dreams a reality. Get everything you need now at BenGreenfieldFitness.com. “I do not have many “before ” pictures because I was ashamed at how fat I was. My before story was that of an overweight father of 3 working shift work and hunting and fishing. My activities began to be constrained by my weight in that walking 15 or more miles was very hard and taxing. I had dome some mountain climbing and had made it to the summit of Boundary peak in Nevada (over 13,000 feet with about 7,000 feet of accent in a day. I then set out to exercise and diet my way to better health, but I just was not getting anywhere, so I worked harder and harder and was not getting anywhere. AT my most I weighed #340, I am 5’10″. I first met Ben in my quest to find answers why I was not making headway, he was working as a clinician and coach associated with a sports medicine practice. He performed a basal metabolic test on me and guess what? a suppressed metabolic system. After that he consulted with me about what avenues I should look at. Ben will lay it out very straight when he has to but in my case he did not have to. His method was to educate me and I will make the correct decisions. Ben supplied me studies and literature that supported courses of action, and some courses needed physician assistance, what he provided me was instrumental in getting a solution in place, he also referred me to a naturepath physician. From there I started cycling and decided to buy a commuter bike and I contacted Ben to coach me in that regard in October of 2009, well the weight started falling off and at the end of the year I had decided to try a triathlon sue we selected a Tri-it (500m swim, 12 mile bike, and 5K run) in June and by June I was #100 lighter I had trained to swim which I took 2 lessons from Ben, The Bike- by now I bought an Aero Carbon Bike, I did not win, not even the fat old man category but I was hooked, and big reason I was hooked was the fun I had training to Ben’s direction. I used both Ben’s workouts and his nutritional advice. About 8 weeks later I completed an Olympic Distance triathlon, and then later another olympic and then my first season ended with a 1.2 mile swim and a 56 mile bike, Ben did not want me to injure myself in the run. The next year my body had started to adapt and the training level came up. Ben was very diligent in explaining what and why he was prescribing workouts. His guidance from planning races while fitting in a family life was a virtue highly valued by myself and my family. I actually won my age division at both a sprint and Olympic distance triathlon’s. I actually saw #208 which was #132 loss. “I had an athletic child hood, not sure where it all got lost, but at around my 30th birthday in Hawaii, I looked at my pictures after the trip and decided this is it and embarked a journey not knowing any direction, nor goal, but I took a deep dive of faith. This was the time around when I came across Ben’s great work and contribution to the world of fitness, I incoporated every single bit and piece I could in my podcast, maticulously translated some food and lifestyle recommendations to fit my own and without knowing, it became a part of life, the 1 hour podcast was somtimes 2 hours, rewind and grasp, rewind and grasp, how can a voice inspire someone so much was beyond me. Then came a stage where unknowingly some food habits and lifestyle became a part of my day to day life. It started positively impacting my near and dear ones and right after 3 months when I thought I am nearing the end of my journey, I came to realize, I had just begun. I can’t thank Ben enough. Today, I am into competitive marathons and racing, and day by day I incorporate Ben’s coaching into refining what I do. I am training for my first traiathlon, learning to swim a stroke in order to do so, hadn’t thought I’d ever be motivated so much…for life it seems. Now that its becoming part of my triathlete life, today, sometimes you can’t measure how much you gained from being in Ben’s world, but it surely is difficult and scary to measure how much you would have lost without. “How much is a good coach worth? Is a good coach worth $197 for an hour of his time? I say, “Yes,” and here is my story. I started running in February 2011 because as a firefighter, I was looking to regain my fitness and health after putting on a few pounds. As a new runner, I of course encountered the new runner problems, but it was not a big deal. I quickly completed several 5ks. 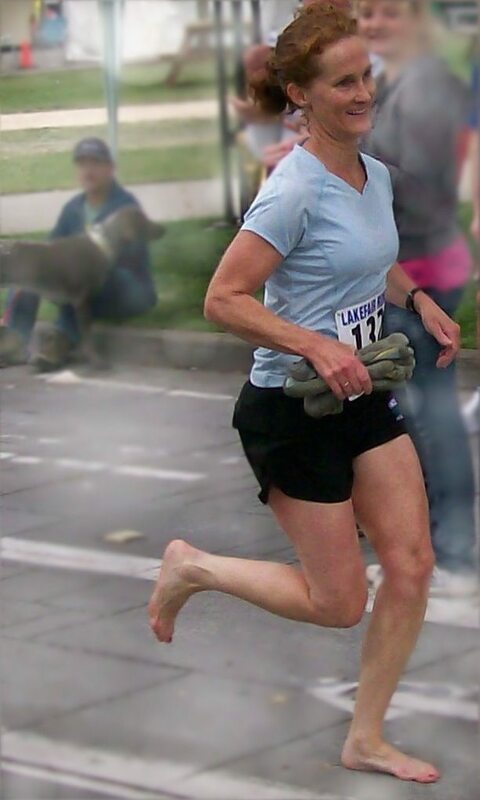 Then in September 2011, I raced my first 10k in which I took 3rd place. Inspired, I set goals to complete the Space Coast Half Marathon and Disney World Half Marathon. As I was getting close to the Space Coast Half, I started having some knee problems. I sought out to find a coach, and found someone who seemed to have great credentials and reputation. Unfortunately, under this coach’s guidance, I suffered three major running injuries. The first was IT band syndrome that caused me to DNS the Space Coast Half Marathon. The second was a stress fracture in my left foot that caused me to DNS the Disney World Half Marathon. The third was a Grade 2 Posterior Tibialis Tendonitis with a Grade 2 ATFL Sprain and Partial Arch Collapse that caused me to DNS the Race for Research Half Marathon. While undergoing rehab with a sports chiropractor, I contacted Ben Greenfield for some coaching assistance. Not only had my previous coach left me injured, but with the classic thin upper body frame and chubby mid-section. Ben covered some running training points, provided guidance on proper weight lifting routines, and even provided some dietary advice. I utilized both the Weight Lifting for Triathlon and Marathon Dominator to help get me to Key Biscayne Half Marathon. Prior to my last injury, I was looking at completing a half marathon between the 2:00 to 2:05 mark. I adjusted my time goal to 2:10, and then up to 2:15 after finding out the bridge that was labeled as a small hill was 80 feet high, which needed to be run not once but twice. Race day arrived, and I was ready. Conditions were less than perfect with rain the entire time, 15+ MPH winds, and the bridge requiring 108 foot climb, not 80 feet. I looked down after the first mile, shocked at my time. I continued to turn out fast (for me) laps, with the first time over the bridge being one of my fastest laps. The last two miles, I was deep in the pain cave as Ben would say, but I knew it was only a mental game at that point. I finished my first half marathon with a time of 2:03:13. I could not believe it, especially since 6 weeks prior I had to stop running completely for 2 weeks because of the last injury. “My name is Nick Burgraff and I live in Suamico, Wisconsin. I have been listening to your all of your podcasts and following all of your postings for a while now and I recently joined your inner circle recently, as well. Everything that you have created is amazing and thank you for providing us with all of this information. I wanted to share with you my testimonial. When I was a senior in high school (18years old) I weighed 310lbs! Now I am 21 years old and weigh 160lbs. And I’m not going to lie; it feels amazing to have lost 150lbs. I lost the weight because my uncle was going to do a triathlon near my house the day after my graduation and he had jokingly made fun of me saying “hey Nick, you should sign up to do the tri with me” as he was laughing. And after that I took a look at myself in the mirror and was utterly disgusted. Then long story short, I lost the weight, did the triathlon with him and then started competing in triathlons and cycling races. I now like to think that I am competitive in triathlons and I have a couple sponsors for running shoes, biking shoes, and helmets. I am now 21 years old, still 160lbs and I am a senior at the University of Wisconsin Green Bay. In my sophomore year of college I decided to try Nordic skiing and I ended up trying out and walking on to the Nordic Skiing team at the university (a division 1 ski team). I also received and am still receiving a full tuition scholarship for skiing which is nice too. I am graduating next fall and I am majoring in exercise science. Like I said, I love self-experimentation when it comes to health and fitness and all of that kind of stuff. I have tried almost all of the ratios when it comes to diet (high carb/low fat, high protein/low fat, high fat/low carb, etc.) and the one that works the best by far is your approach of high fat/low carb. It has made a huge improvement on my performance and body composition. I am at a 4% body fat right now and stay around 4-6% all year. I can do 5hr workouts on nothing but water and some eggs or something before I go and be just fine, and I can also race competitively at the national level in Nordic skiing races eating some coconut butter and heavy cream before my race. I have read your “low carbohydrate guide for athletes” book and also all of the things that Peter Attia has talked about. The science behind the low carb/ high fat approach is really cool. And I have to thank you sooo much for opening my eyes to this concept! You are the first person that I am sharing part of my weight loss story with (other than people that know me personally of course). This is because I never knew who I should tell or if I should tell anyone about my weight loss success, probably because I am not one to gloat much about my success and try to be as humble as possible. I lost 150lbs and I have kept it off for three years now; I also did all of this between the ages of 18-21. Oh yeah, and all in this process I also quit smoking, chewing (tobacco), drinking and all of that kind of bad stuff as well. I also had asthma since I was 5years old (I was taking advair) and since losing the weight I am completely free of all of my medications and my asthma is gone. For more information on coaching and training with Greenfield Fitness Systems, or to hire Ben as your coach or personal trainer, simply click here, or send Ben an e-mail at [email protected], or call toll-free to 1-877-209-9439. Disclaimer: This blog is for general informational purposes only and does not constitute the practice of medicine, nursing or other professional health care services, including the giving of medical advice, and no doctor/patient relationship is formed. The use of information on this blog or materials linked from this blog is at the user’s own risk. The content of this blog is not intended to be a substitute for professional medical advice, diagnosis, or treatment. Users should not disregard, or delay in obtaining, medical advice for any medical condition they may have, and should seek the assistance of their health care professionals for any such conditions.